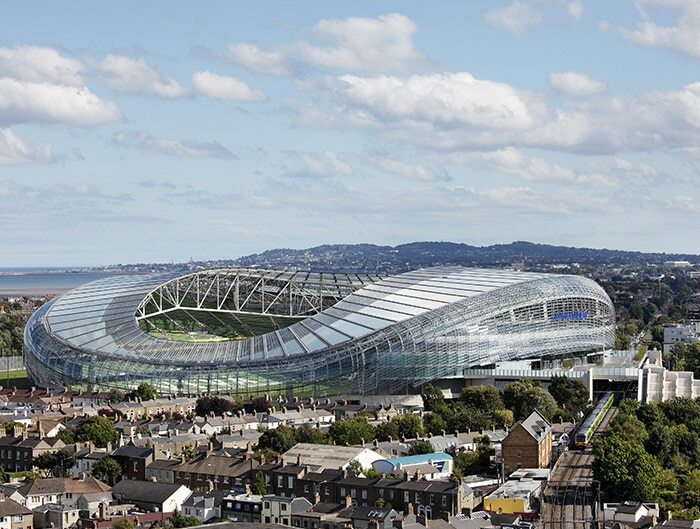 Having successfully completed the podium over the Dublin Rapid Area Transport rail line behind the original stadium we were then appointed to supply and install the precast for the new stadium. Self-Compacting Concrete (SCC) was chosen for all the precast units and this allowed more complex forms to be fabricated. 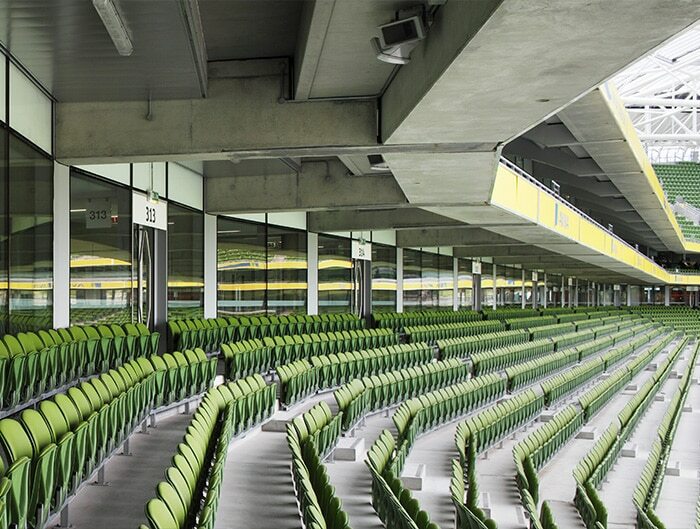 Reducing the cast (trowelled) area ensured a top quality finish on all exposed faces. 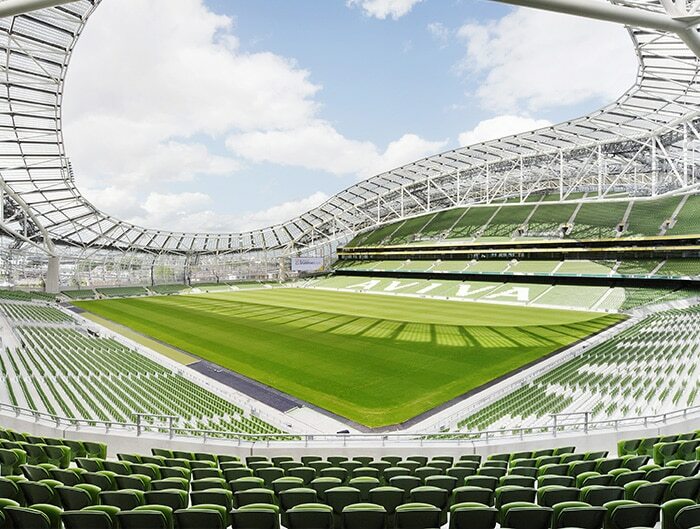 Using new innovative methods (GGBS, SCC, maturity and waterproof concrete) provided insightful ways of approaching the future of stadium construction. 12,000 tonnes of precast concrete was manufactured, delivered and installed on site on time and to the highest precast specification. 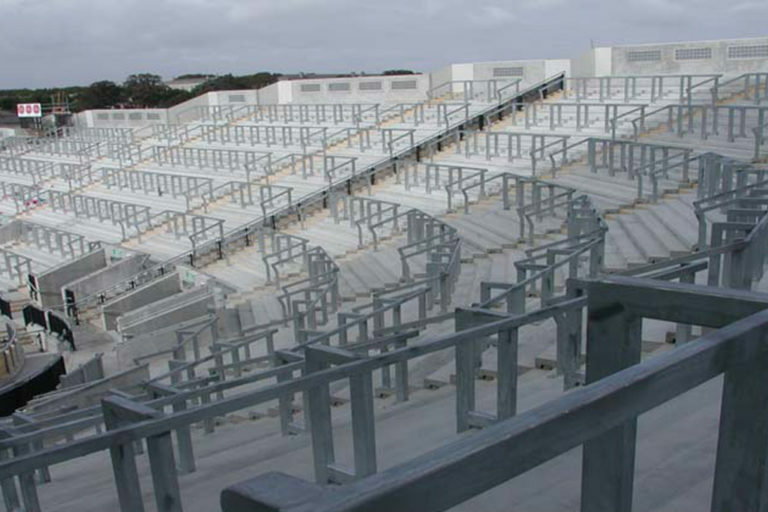 The premium level raker beams were originally designed as an in-situ element but to save on programme we designed, manufactured, transported and installed impressive precast raker beams which weighed in excess of 60 tonnes each. 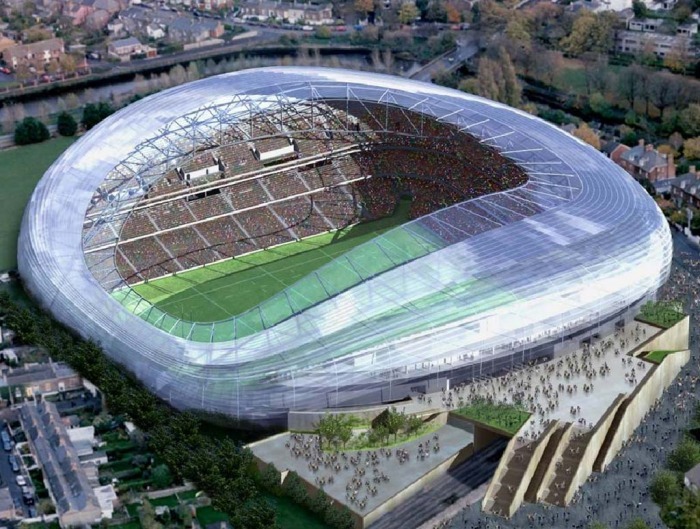 In the context of the overall structure of the stadium, concrete uses less energy in its production than a steel frame. Ground Granulated Blast Furnace Slag (GGBS) is used in up to 40% of the concrete cast for the project. The reduced carbon footprint can be up to 30 times less than with conventional cements. High performance polycarboxalate super-plasticizers also helped to reduce cement contents and led to significant reduction in the embodied energy footprint. 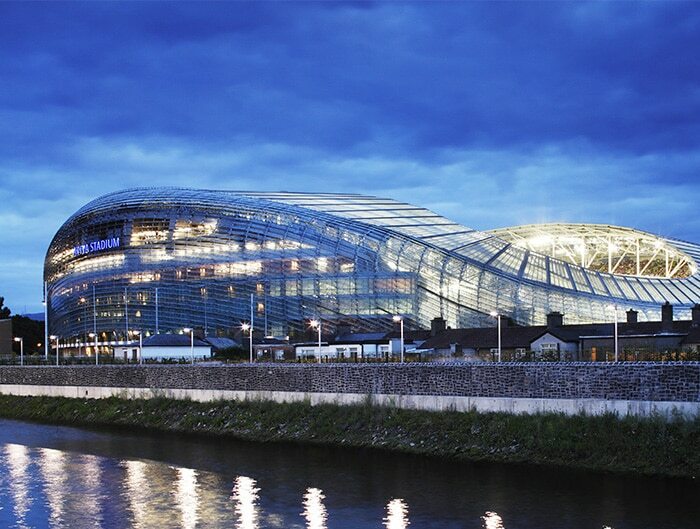 Banagher Precast Concrete received the award for the best main supplier in the building category for the precast concrete used on the Aviva stadium at the annual Irish Concrete Society Awards 2010.